The cover to Book 4 all inked up. 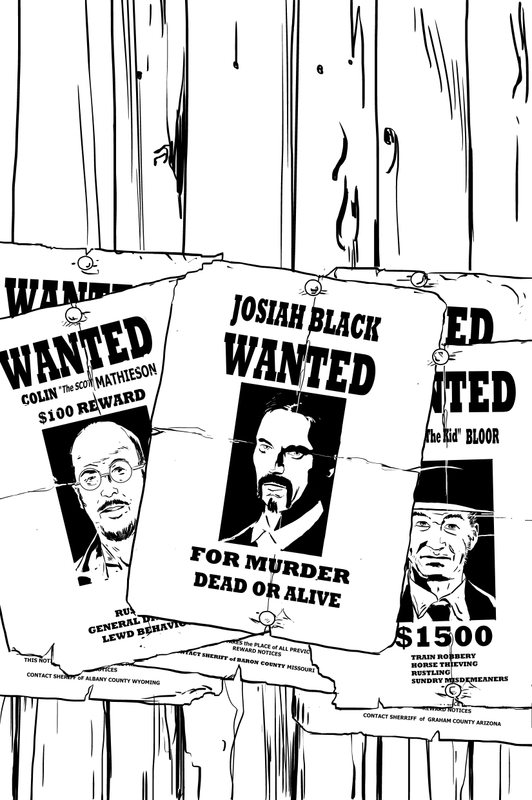 The two folk on the other two wanted posters are based on friends, Andy Bloor and Colin Mathieson. 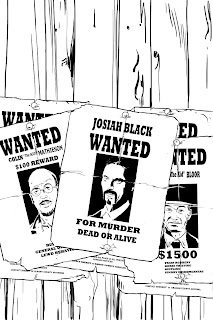 Funny thing is, both of them complained separately that the reward money on their wanted posters wasn't enough. Too right Man, surely some mistake with the $ exchange rate - $100 won't buy much porridge! Whatta expect fer Lewd behaviour?